Phillip Johnston was born circa 1872 at Missouri. He was the son of Patrick Johnston and Bridget (?). As of 1930, Phillip Johnston was never married. [S246] U.S. Federal Census 1880 U.S. Federal Census, by Ancestry.com, Year: 1880; Census Place: Osage, Morgan, Missouri; Roll 705; Family History Film: 1254705; Page: 253C; Enumeration District: 196; Image: 0509. [S250] U.S. Federal Census 1930 U.S. Federal Census, by Ancestry.com, Year: 1930; Census Place: Jefferson, Cole, Missouri; Roll 1184; Page: 12B; Enumeration District: 14; Image: 420.0. Married Name before 1863 As of before 1863,her married name was Johnston. Bridget (?) was born circa 1835 at Ireland. She married Patrick Johnston before 1863. Bridget (?) died after 1880. [S247] U.S. Federal Census 1870 U.S. Federal Census, by Ancestry.com, Year: 1870; Census Place: Osage, Morgan, Missouri; Roll M593_794; Page: 215A; Image: 433; Family History Library Film: 552293. John Johnston was born circa 1863 at Missouri. William Johnston was born circa 1866 at Missouri. Ellen Johnston was born circa 1870 at Missouri. She was the daughter of Patrick Johnston and Bridget (?). Married Name 10 March 1928 As of 10 March 1928,her married name was Lear. Ethel Margaret Bennett was born on 8 March 1908 at Kansas. She married Oscar Finley Lear, son of Charles Sardus Lear and Anna Elizabeth Majors, on 10 March 1928 at Jackson, Missouri. Ethel Margaret Bennett died on 8 September 1977 at Santa Barbara, California, at age 69. Ethel Margaret Bennett obtained US Social Security Card at Kansas; last residence Santa Maria, Santa Barbara, California. Married Name 22 June 1935 As of 22 June 1935,her married name was Lear. Agnes Rose Rottler was born circa 1915. She married Clyde Wifford Lear, son of Charles Sardus Lear and Anna Elizabeth Majors, on 22 June 1935 at Pettis, Missouri. Otto G. Mackler was born on 14 July 1893 at Missouri. He married Maude G. Lear, daughter of Charles Sardus Lear and Anna Elizabeth Majors, on 7 February 1916 at Jackson, Missouri. Otto G. Mackler died after 1930. [S250] U.S. Federal Census 1930 U.S. Federal Census, by Ancestry.com, Year: 1930; Census Place: Elmwood, Saline, Missouri; Roll 1246; Page: 7B; Enumeration District: 14; Image: 771.0. Logan J. Fulkerson was born circa 1891 at Missouri. He married Mattie Lear, daughter of Charles Sardus Lear and Anna Elizabeth Majors, on 22 June 1911 at Saline, Missouri. Logan J. Fulkerson died after 1930. [S243] U.S. Federal Census 1920 U.S. Federal Census, by Ancestry.com, Year: 1920;Census Place: Salt Pond, Saline, Missouri; Roll T625_962; Page: 8A; Enumeration District: 210; Image: 615. [S250] U.S. Federal Census 1930 U.S. Federal Census, by Ancestry.com, Year: 1930; Census Place: Bowling Green, Warren, Kentucky; Roll 779; Page: 6B; Enumeration District: 1; Image: 554.0. Fred E. Akerman was born circa 1894 at Missouri. He married Nellie Lear, daughter of Charles Sardus Lear and Anna Elizabeth Majors, on 20 March 1916 at Saline, Missouri. 1925 Kansas City, Wyandotte, Kansas Fred E. Akerman appeared on the census of 1925 at Kansas City, Wyandotte, Kansas. Fred E. Akerman was a auto machinist in 1925. Joseph C. Mackler was born circa 1919 at Missouri. He was the son of Otto G. Mackler and Maude G. Lear. Married Name 15 October 1932 As of 15 October 1932,her married name was English. Juanita Fulkerson was born circa 1913 at Missouri. She was the daughter of Logan J. Fulkerson and Mattie Lear. Juanita Fulkerson married Clarence English, son of G. H. English, on 15 October 1932 at Saline, Missouri. Dorothy L. Akerman was born circa 1918 at Missouri. She was the daughter of Fred E. Akerman and Nellie Lear. 1925 Kansas City, Wyandotte, Kansas Dorothy L. Akerman is listed as daughter on the census of 1925 in the household of Fred E. Akerman at Kansas City, Wyandotte, Kansas. Clarence English was born after 1911. He was the son of G. H. English. Clarence English married Juanita Fulkerson, daughter of Logan J. Fulkerson and Mattie Lear, on 15 October 1932 at Saline, Missouri. G. H. English died after October 1932. He witnessed the marriage of Clarence English and Juanita Fulkerson on 15 October 1932 at Saline, Missouri. Name Variation Rebecca Monica Farley was also known as Reba. Married Name Her married name was Schlough. Rebecca Monica Farley married Frederick Schlough. Rebecca Monica Farley was born on 3 July 1888 at South Dakota. She was the daughter of John Farley and Margaret Dwyer. Rebecca Monica Farley died on 13 June 1971 at age 82. 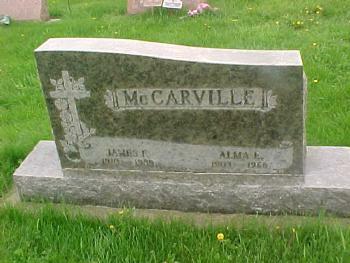 She was buried after 13 June 1971 at Lone Rock Cemetery, Lone Rock, Richland, Wisconsin. 1 June 1905 Lone Rock, Richland, Wisconsin Rebecca Monica Farley is listed as daughter on the census of 1 June 1905 in the household of Margaret Dwyer at Lone Rock, Richland, Wisconsin. [S245] U.S. Federal Census 1900 U.S. Federal Census, by Ancestry.com, Year: 1900; Census Place: Plankinton, Aurora, South Dakota; Roll T623_1546; Page: 1A; Enumeration District: 5. Name Variation Frederick Schlough was also known as Fred. Frederick Schlough married Rebecca Monica Farley, daughter of John Farley and Margaret Dwyer. Frederick Schlough was born on 10 June 1886 at Wisconsin. He died on 28 June 1963 at age 77. James F. Schlough was born on 22 June 1923. He was the son of Frederick Schlough and Rebecca Monica Farley. James F. Schlough died on 2 September 1994 at age 71. John Michael Schlough was born on 17 February 1911. John Michael Schlough died on 14 September 1972 at age 61. Lorraine R. Schlough was born on 12 June 1914. She was the daughter of Frederick Schlough and Rebecca Monica Farley. Lorraine R. Schlough died on 27 November 1993 at age 79. Richard R. Schlough was born on 6 February 1918. Richard R. Schlough died on 15 October 1985 at age 67. Married Name 26 July 1932 As of 26 July 1932,her married name was Gilbertson. Margaret Mary Schlough was born on 4 September 1909. Margaret Mary Schlough married Milford Paul Otto Gilbertson on 26 July 1932. Margaret Mary Schlough died on 29 November 2001 at age 92. Milford Paul Otto Gilbertson was born on 20 October 1907. He married Margaret Mary Schlough, daughter of Frederick Schlough and Rebecca Monica Farley, on 26 July 1932. Milford Paul Otto Gilbertson died on 11 September 1992 at age 84. Terrance C. McCarville was born on 13 May 1944. Terrance C. McCarville died on 17 October 1963 at age 19. He was buried after 17 October 1963 at St Patrick Loretto Cemetery, Bear Creek, Sauk, Wisconsin. Name Variation Lawrence Fredrick Wm Krey was also known as Lawrance. Lawrence Fredrick Wm Krey was born on 18 January 1886 at Sauk, Wisconsin, also reported as 18 Jan 1885. Lawrence Fredrick Wm Krey married Hilda Dorothy Schwenkhoff in 1914. Lawrence Fredrick Wm Krey died in 1958 at Sauk, Wisconsin. On 12 September 1918 at World War I Draft Registration, Sauk, Wisconsin. On 6 July 1924 at Krey Family Reunion. In July 1940 Mr and Mrs Herman Carl (H. C.) Tilker family visiting with relatives including her brother Laurence Krey and family, and her sister Mrs Theresa Funte. [S243] U.S. Federal Census 1920 U.S. Federal Census, by Ancestry.com, Year: 1920;Census Place: Franklin, Sauk, Wisconsin; Roll T625_2015; Page: 3A; Enumeration District: 164; Image: 74. Married Name 1914 As of 1914,her married name was Krey. Hilda Dorothy Schwenkhoff was born in September 1893 at Wisconsin. She married Lawrence Fredrick Wm Krey, son of Gottlieb William Fredrick Krey and Wilhelmine Ernestine Raedel, in 1914. Hilda Dorothy Schwenkhoff died on 20 September 1951 at Sauk, Wisconsin. Harley Henry A. Krey was born on 16 November 1920 at Sauk, Wisconsin. He was the son of Lawrence Fredrick Wm Krey and Hilda Dorothy Schwenkhoff. Harley Henry A. Krey died on 21 February 2003 at Madison, Dane, Wisconsin, at age 82 Harley Henry A. Krey, age 82, of Spring Green, passed away on Friday, Feb. 21, 2003, at Meriter Hospital, Madison, following a long illness. He was born on Nov. 16, 1920, in the town of Franklin, Sauk County, the son of Lawrence and Hilda (Schwenkhoff) Krey. He was baptized and confirmed at St. John's Lutheran Church in Leland and remained a member of that church his entire lifetime. On June 9, 1944, he was united in marriage to Dorothy Debeck at Christ Evangelical Lutheran Church of Greenfield by the Rev. Gustav Gerth. In April 1945 he was drafted into the military service, and was stationed in Japan until November 1946. He served in the 11th Field Artillery, earning the rank of sergeant as a gun crewman, medium artillery, U.S. Army. After his discharge from military service, he and his wife moved to the dairy farm which belonged to the Rudolph Zick family, Route No. 1, Loganville, which Lawrence and Dorothy purchased while he was overseas. They continued to dairy farm until 1979 when he had to retire due to leg and back problems. They remained on the farm until 1998 at which time they moved to Spring Green to retire. They were married for 58 years. He enjoyed fishing, hunting, playing cards, traveling and spending time with his family and friends. He was a member of the Honey Creek Rod and Gun Club of Leland; the VFW Post 01916, Reedsburg; The North American Hunting Club; and a member of the American Legion Post 0398 of Plain for 18 years. He is survived by his wife, Dorothy of Spring Green; a son, Jim (Karen) Krey of Spring Green; a daughter, Connie (Joseph) Hoffman of Alpharetta, Ga; seven grandchildren, Brian, Michael, Geoffrey, Adam and David Krey, and Travis and Amanda Hoffman; two brothers, Edmund (LaVera) Krey and Kenneth Krey of Loganville; a sister-in-law, Evelyn (Krey) Farrington of Colorado Springs, Colo., nieces, nephews, and other relatives and friends. He was preceded in death by his father and mother; a brother, Harold; a sister, Edna (Krey) Kruse; brother, Wilbert, who died in infancy; a brother-in-law, Alfred Kruse; and a niece, Patricia (Krey) Benseman. Harley was a devoted husband, father and grandfather. Funeral services will be held at 11 a.m. on Monday, Feb, 24, 2003, at ST. JOHN'S LUTHERAN CHURCH, Leland, with Pastor James Kuemmerle officiating. Burial will follow in the church cemetery. Kenneth W. Krey was born on 13 January 1928 at Wisconsin. Kenneth W. Krey died on 18 January 2015 at age 87 Kenneth W. Krey, age 87, of Loganville, died on Sunday, January 18, 2015 at the Sauk County Health Care Center in Reedsburg. He was born on January 13, 1928 in the Town of Franklin, Sauk County, the son of Lawrence and Hilda (Schwenkhoff) Krey. Kenny was a lifelong farmer in the Town of Franklin. He was an avid hunter, fisherman and outdoorsman traveling to Alaska, Canada, Wyoming and Colorado. Kenny also greatly enjoyed going on an African safari. He will be remembered for riding in local parades along with his five dogs for over 24 years. Kenny also drove school bus for the Reedsburg School District for 26 years. He was a lifelong member of St. John's Lutheran Church in Leland, a member of the Honey Creek Rod and Gun Club, Reedsburg Historical Society, Ducks Unlimited and the Sauk County Humane Society. Survivors include two sisters-in-law: Dorothy Krey, of Spring Green and LaVera Krey, of Loganville; many nieces and nephews; other relatives and a host of friends. He was preceded in death by his parents; one sister: Edna Kruse and four brothers: Harold, Harley, Edmund and Wilbert Krey. Funeral services will be conducted at 11:00 A.M. on Thursday, January 22, 2015 at St. John's Lutheran Church in Leland with Pastor Erich Hartenberger officiating. Interment will be in the church cemetery. There will be a visitation from 4:00 P.M. to 7:00 P.M. on Wednesday at the Hoof Funeral Home in Reedsburg and from 10:00 A.M. until the time of the service on Thursday at the church. In lieu of flowers, memorials to St. John's Lutheran Church, the Sauk County Humane Society or the Reedsburg Historical Society would be appreciated. The Hoof Funeral Home is serving the family. Edmund Krey was born on 30 August 1923 at Wisconsin. Edmund Krey married LaVera Marie Wilhelmina Peper, daughter of August Georg Friedrich Peper and Anna Marie Hasz, on 9 May 1946. Edmund Krey died on 9 April 2013 at age 89 Edmund L. Krey, age 89 of Loganville died on Tuesday, April 09, 2013 at the Reedsburg Area Medical Center. He was born on August 30, 1923 in Loganville the son of Lawrence and Hilda (Schwenkhoff) Krey. He was married to LaVera Peper on May 9, 1946 in St. John’s Lutheran Church, Leland, WI. Ed loved to farm, he lived and farmed on the Century farm he was born on. He was a past member of the church council at St. John’s Lutheran Church in Leland. He was a member of the Honey Creek rod and gun club. He was on the dart ball team at St. Peter’s Lutheran Church in Loganville. He was preceded in death by his parents, a sister, Edna Kruse; brothers, Harley, Harold and Wilbert in infancy. Many nieces, nephews other relatives and friends. We honor his life with a funeral service on Saturday, April 13, 2013 at 11:00 A.M. in St. Peter’s Lutheran Church, Loganville with Pastor Christopher Miller officiating. Visitation will be on Friday from 4-8 P.M. in the Farber Funeral Home and again on Saturday from 10 A.M. until the time of service at the church. Burial will be made in St. Peter’s Lutheran Cemetery, Loganville. The Farber Funeral Home is assisting the family with the arrangements. Married Name 9 May 1946 As of 9 May 1946,her married name was Krey. LaVera Marie Wilhelmina Peper was born on 16 May 1926 at Loganville, Sauk, Wisconsin. She was the daughter of August Georg Friedrich Peper and Anna Marie Hasz. LaVera Marie Wilhelmina Peper married Edmund Krey, son of Lawrence Fredrick Wm Krey and Hilda Dorothy Schwenkhoff, on 9 May 1946. LaVera Marie Wilhelmina Peper died on 1 December 2016 at age 90 LaVera Marie Wilhelmina Krey, age 90, of Loganville, passed away on Thursday, December 1, 2016. She was born on May 16, 1926, in Loganville, WI, the daughter of August and Anna (Hasz) Peper. On May 9, 1946, LaVera was united in marriage to Edmund L. Krey at St. John Lutheran Church, Leland. This marriage was blessed with two children. LaVera worked on their rural Loganville farm with her husband, Edmund, and sold Avon and Vanda Cosmetics. She was a former member of St. John Lutheran Church in Leland and a member of St. Peter’s Lutheran Church, Loganville. Through the years, she was active in the Ladie’s Aid, Church Council, serving as Past President and Secretary; she enjoyed teaching Sunday School and Vacation Bible School. LaVera was known as an excellent cook and baker. She enjoyed sharing her baked goods with family and friends. She held a special place in her heart for her nieces and nephews who often spent summers with her and Edmund before they had children of their own. She was preceded in death by her parents; husband, Edmund; brothers, August Jr., Walter, Leonard, Herold and Raymond. Great grandchildren: Brady and Mason Rist. Dorothy Krey of Spring Green. She is further survived by many nieces, nephews along with other relatives and friends. Funeral services for LaVera Krey will be conducted at 12:00 Noon on Thursday, December 8, 2016, at St. Peter’s Ev. Lutheran Church, Loganville, with Pastor Donald Glanzer officiating. Burial will follow in St. Peter’s Cemetery, Loganville. Visitation will be held on Thursday morning from 10:00 AM until the time of the service at the church. Memorials may be made to W/ ELCA of St. Peter’s. The Farber Funeral Home is assisting the family with the arrangements.